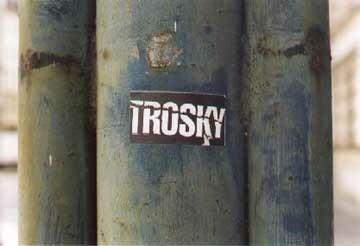 While vacationing in Slovakia, our friend Guido Potters spotted this sticker on a Bratislava lamppost. He writes: "The Czech dictionary translates 'trosky' as ruins or wrecks. I don't know if the person who 'designed' this was aware of the Hüsker typography; I'd say that the font is pretty much the same! Sue the guy...!"